Ankara and Tel Aviv are expected to announce the renewal of their bilateral ties on June 26 after talks between top Turkish foreign ministry official Feridun Sinirlioglu and Israel’s point man on Turkish relations, Joseph Ciechanover, according to reports from a local Turkish newspaper. An Israeli newspaper reported on its part that the meeting would take place in a European capital. Ties between the two countries were severed by Turkey in 2010 after Israeli commandos stormed a Turkish flotilla heading to Gaza, killing nine Turkish activists during the scuffle before the tenth succumbed to his wounds later. The two countries have been engaged in talks to ease the tension and Israel has fulfilled two of Turkey’s three conditions for normalization. Tel Aviv apologized for its actions and compensated the victims but has not lifted the blockade on Hamas. As part of an alleged compromising deal between them, Israel will allow the completion of a hospital in Gaza, a new power station and a seawater desalination plant. 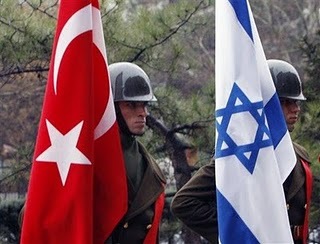 Turkey will also be able to send aid to Gaza but through the Israeli port of Ashdod. Written by: meconfident on June 22, 2016. Posted by meconfident on Jun 22 2016. Filed under Headlines, World News. You can follow any responses to this entry through the RSS 2.0. Both comments and pings are currently closed.